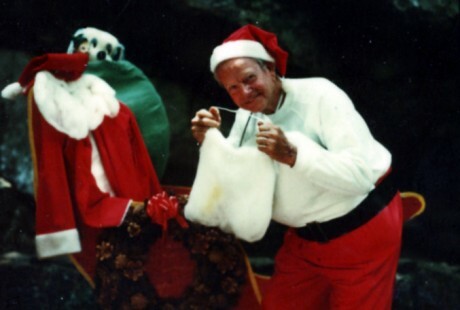 Have you heard about the REAL Santa Claus in Birmingham’s history? As the Christmas season comes to an end, it’s hard not to reminisce on the special memories and traditions that the holiday holds. One of my favorite Christmas memories is my dad dressing up as Santa Claus and bringing joy to the Birmingham community. Imagine that it’s December 1947. It has been six years since the “day that lived in infamy,” the war is over and mankind is beginning to return to “normal.” At this time, the Industrial Paint Company, Inc., which would later become Induron Coatings, is about six months old. That moment began a tradition that brought an enormous amount of pleasure to many people in the Birmingham community. The following night, my dad dressed as Santa and shouted “Merry Christmas” to every car that passed. People came from miles around, and eventually, the local police had to direct traffic to keep things moving. A few years later, we moved to Memory Lane, which was named by my mother and not far from our previous home. The new house was across a creek, so a bridge was built. My dad installed a sleigh he had built with several plywood reindeer suspended out front up around our driveway. For three nights before Christmas, he sat in that sleigh and wished everyone a “Merry Christmas!” My mother stood on the bridge and greeted every kid who came up by name in a voice loud enough for my dad to hear from his perch 25 feet away. Later, when he called each kid by name, there was no doubt that he was the REAL Santa Claus. 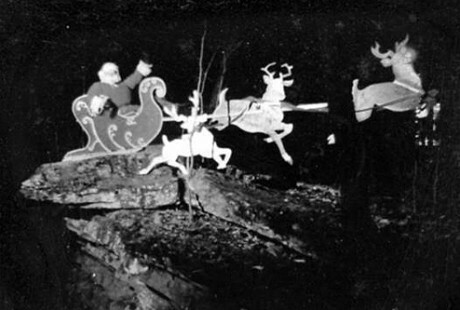 This ritual continued until 1961 when my mother became ill and could no longer do her “thing” to help Santa Claus. Today, it amazes me that I continue to hear from local people who remember “The Real Santa Claus” from that period before indoor malls, TV and the massive commercialization of Christmas. My dad made a lot of kids really happy with that ritual even in rain, snow (at least once I remember) and cold. It was truly a gift to the community, which lasted far longer and meant much more to many people than my dad could have imagined. That’s a great story! Thanks for sharing, especially for those of us who were not in Birmingham during those years to enjoy your parents’ Christmas spirit.